Rental Guests | Marketing Villas Ltd. Whether you are looking for a private, secluded villa or a hot spot in which to be seen, the MVL team can help find the perfect match. We are able to do this because we do not stop at merely matching your desires to the perfect villa but we also try continuously to accommodate your special needs, be they food and drink, recreation, transportation, events or functions. Our villas are chosen for comfort and quality and are equipped with all the infrastructure you need; you never need worry about basics like electricity, water supply, and telecommunications, as they are provided to Western standards. All villas in this portfolio are fully staffed — not partially staffed or with “maid service only.” The staff of MVL managed villas are taken through structured training and regular refresher courses. 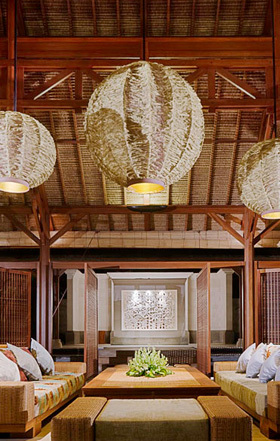 They care for the guests and maintain the villas to the highest standards. All villas in the MVL portfolio are based on systems similar to those used in hotels: Housemaids take care of the day-to-day cleaning and provisioning of the villa. Gardeners and Pool Attendants care for the pools and gardens quietly and discreetly allowing you to relax. Chefs and Cooks, many of whom are hotel or resort trained, take care of your culinary needs. Our Security Teams are experienced and thoroughly familiar with the villa’s neighborhood to ensure your privacy and safety are never compromised. Where we differ is in the level of service provided. MVL managed villas provide far more personal service. A MVL villa feels more like a home than a hotel.